Cafe Chokladkoppen is located in a house called Seyfridtzska huset, next to Schantzska huset. The building is probably from the 1500s and was owned by Johan Eberhard Schantz (the same man who owned Schantzska huset). 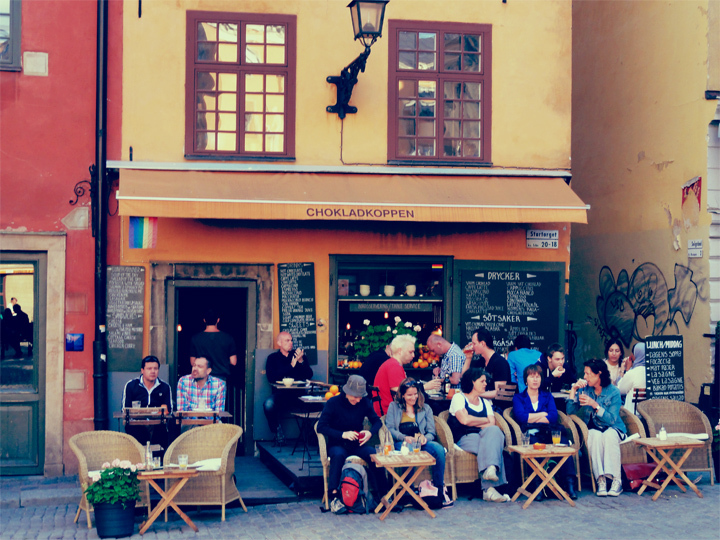 The outdoor seating will give you a perfect view of Stortorget (The Great Square). The café serves both lunches and pastries. Price: Standard. Maybe a bit overpriced. You will get a soda for 30 SEK, salad – 85 SEK and pastries (as fruit cobbler, cheesecake and chocolate cake) usually cost around 40 – 45 SEK. 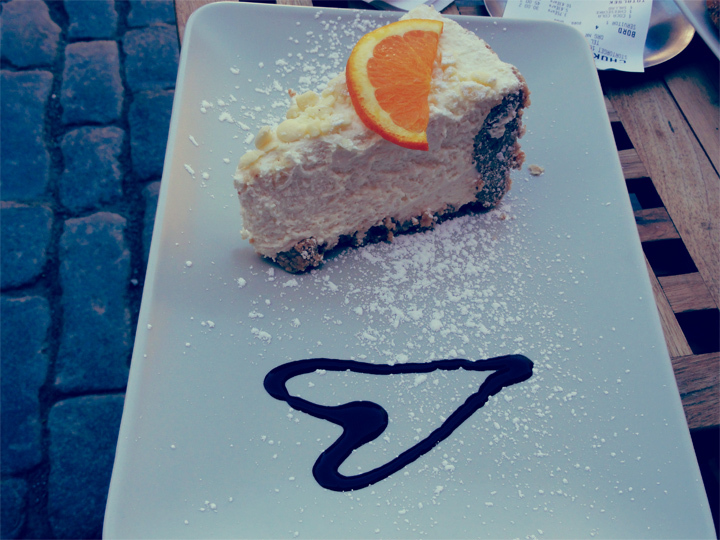 I can truly recommend the white chocolate cheesecake! The lukewarm soda was a big minus though. 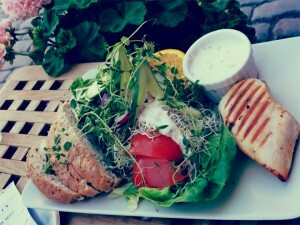 Chicken salad – 85 SEK. Pretty small portion..